First performed in Boston in 1935 the opera Porgy & Bess has been performed many times over the intervening years. 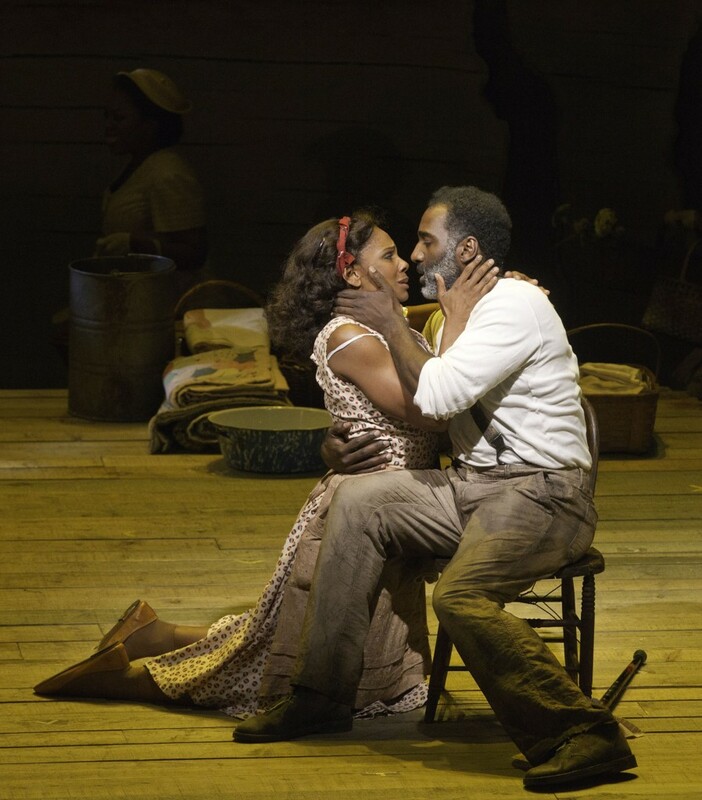 Here are Norm Lewis and Audra McDonald bringing soul to the American Repertory Theatre’s production of The Gershwin’s Porgy and Bess in 2011. The story of the writing of the opera runs thus. At some date in the 1920s a black American named Goatcart Sammy murdered a woman and was pursued by the police who, being provided with Cadillacs, not surprisingly overtook the goat-cart and put Sammy in gaol. This story caught the fancy of one DuBose Heyward who put it into a novel called Porgy. This caught the fancy of George Gershwin when he was touring in 1926 with one of his earliest and best musicals, Oh, Kay! He wrote to Heyward suggesting an opera. Heyward put him off because he was dramatizing the book for Broadway. The play was a hit and in 1932 Gershwin propositioned Heyward again. He saw in Porgy a chance to write and opera where he could find the middle ground between classical music and American jazz, one of his lifelong desires and by now a fixation. The deal was done; Heyward was to do the libretto working along with George’s brother Ira, widely know as a top class lyricist. George put in a lot of homework living on an island off Charleston, South Carolina, studying a community whose music was thought to be the nearest thing to the real ‘McCoy’ in the matter of spirituals. He wrote the opera in 20 months. The piano score was entirely his own work but how much of the orchestration he did himself has always been a bit of mystery. The Gershwin brothers were the impresarios as well as the creators of Porgy and they took great pains to audition and selected their all-coloured cast. Todd Duncan got the role of Porgy and was to sing the hit numbers all over the world for the next 40 years. After the out-of-town run the show had its real first night in the Alvin Theatre, New York on 10 October 1935. It ran for 124 performances – not enough to recoup the investment on a Broadway musical but surely a candidate for the Guinness Book of Records as an opening run of consecutive performances of a new opera. This entry was posted in Education, Gerswhin, Opera and tagged Gershwin, popular music, Porgy & Bess.